I was thrilled to have a chat with Ghent’s iconic ‘Cuberdon Carl’ not too long ago. Carl Demeestere and his trolley are a fixture in the city. 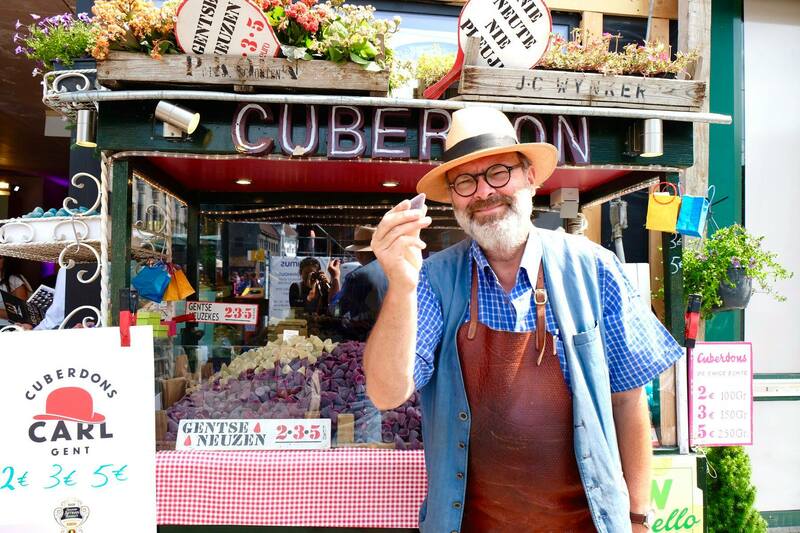 He’s famous for selling his super sweet cuberdons or “Ghent noses”, a truly iconic sweet treat in Ghent. You might have even heard about ‘the little nose war’ that went down a few years back. Although he didn’t go too into detail he did confirm things got a bit heated with his cuberdon competitor across the square. 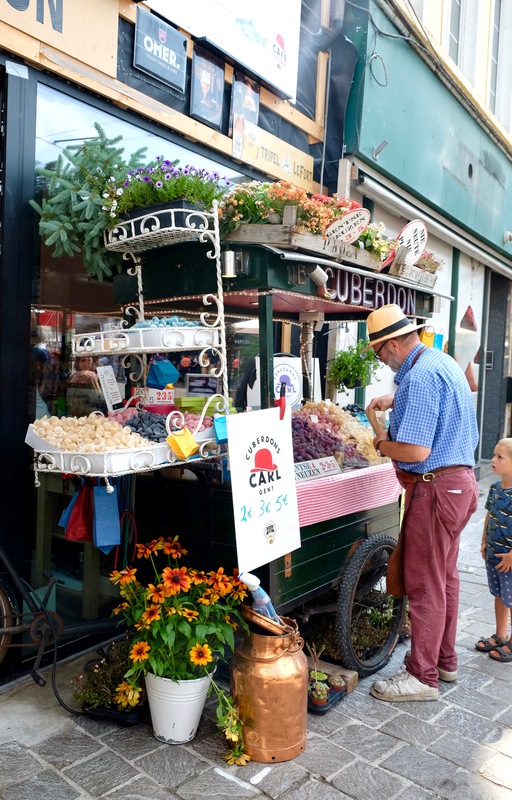 Cuberdons are one of Ghent’s oldest and most original sweets. Carl’s enthusiasm and passion for this candy and its story are infectious. He took time out of his busy day to share his story of how he came to be known as Carl Cuberdon and how the candies made a comeback after years of being forgotten. Carl is a born storyteller. He started off by telling me these candies were an invention of a Belgian pharmacist during World War I who figured out a way to get kids to take their medicine. After the World Wars, the candies were forgotten. It was fifteen years ago that Carl decided to bring them back to the forefront and revive them as Ghent greatest candy. The candy flavors branched out from standard licorice flavor then became strawberry, blueberry, lemon, chocolate, limoncello, and the list goes on. His favorite? The one he created in 2015 for Ghent’s KAA soccer team. He makes his own candies and the recipe is, of course, a secret. But he did tell me it’s a baking technique involving marmalade. 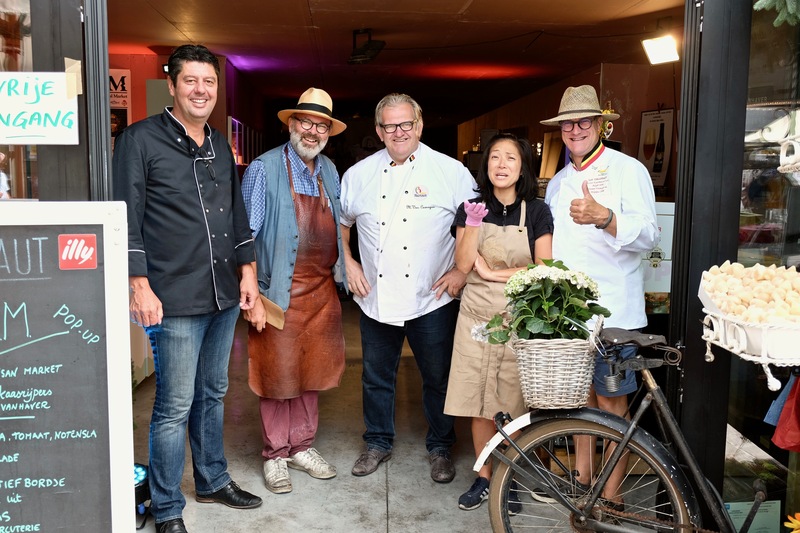 You can now find Carl’s trolley in front of the Belgian Artisinal Market (BAM) at the Groentenmarkt, one of the oldest markets in Ghent. In the same square, you can also find Ghent’s oldest bakery. 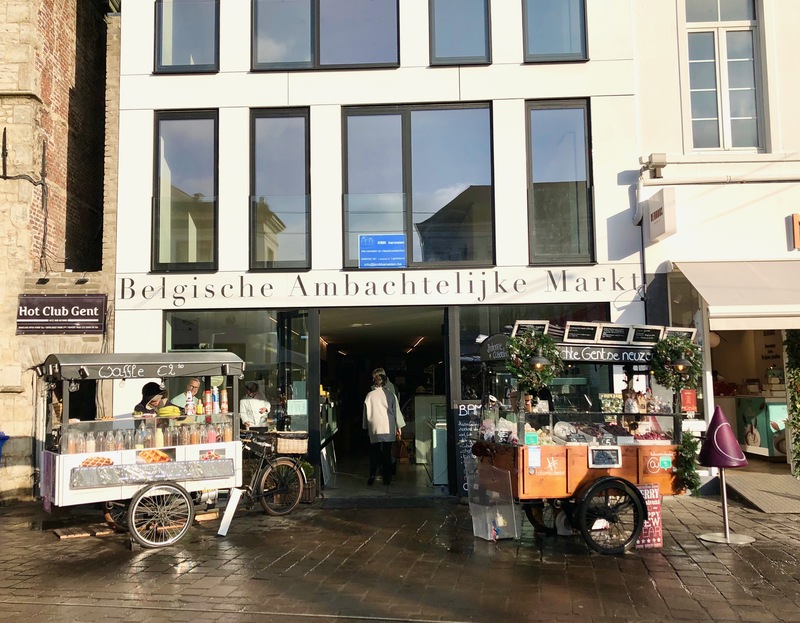 Inside BAM you can find some of the best food craftsman in Belgium that aren’t lacking in awards and worldwide recognition: cheesemonger Joris Callebaut, wine sellers, fishmongers, and even a tasty donut shop Hoeked. You can stay and sample a bit of everything in their tasting room in the back.